The Honda Africa Twin is back with new colors for 2019. The “Adventure Sports” model was introduced in 2018 and some of the features include a larger fuel tank, longer suspension travel to help tackle tough terrain along with throttle by wire and a healthy amount of rider settings. If a larger Africa Twin isn’t fitting the bill, Honda also offers a “base” model with throttle by wire and updated electronics. 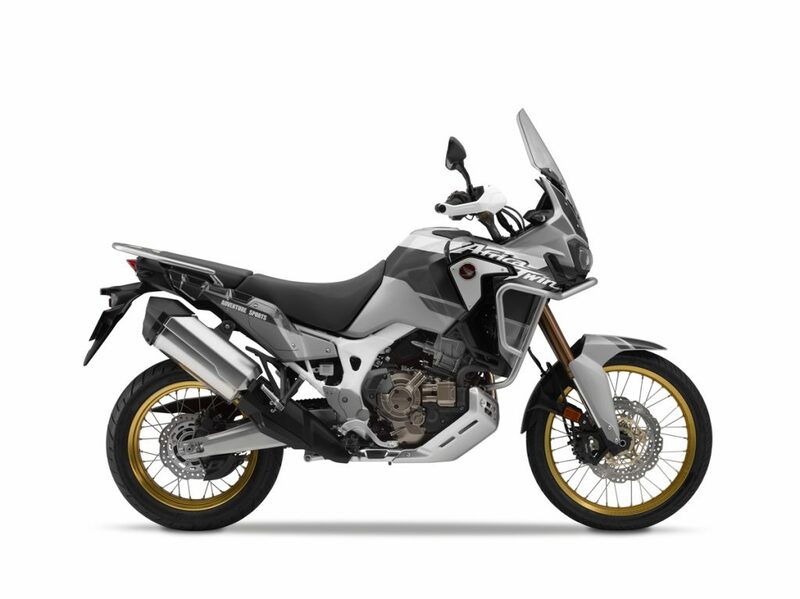 What’s new with the 2019 Africa Twin Adventure Sports and base model compared to 2018? Mechanically speaking, nothing. The base model now comes in a blue/white/red color scheme and a matte black metallic. The Adventure Sports model is painted with light silver/grey metallic with gold wheels carried over from 2018. 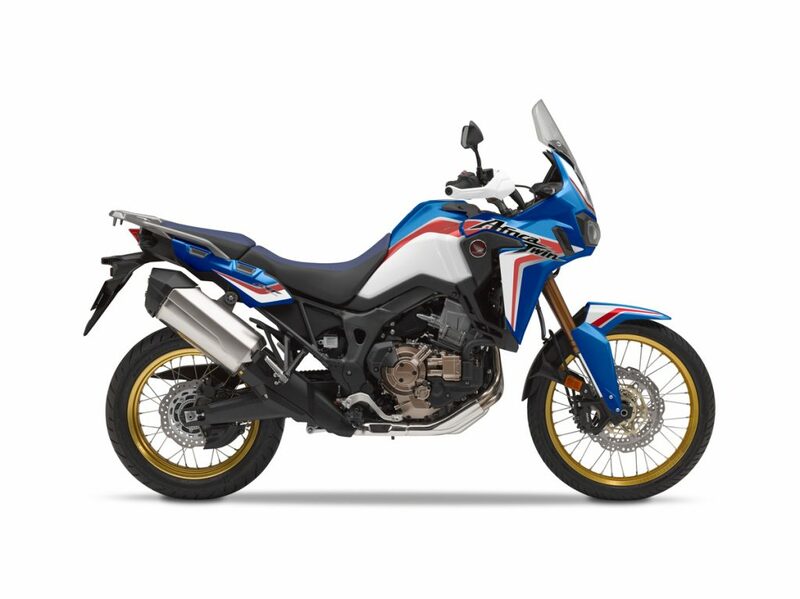 2019 Blue/White/Red color scheme for the 2019 Africa Twin base model. The base Africa Twin model offers 9.8 inches of ground clearance with weight coming in at 507 lbs. and 529 lbs. for the DCT. 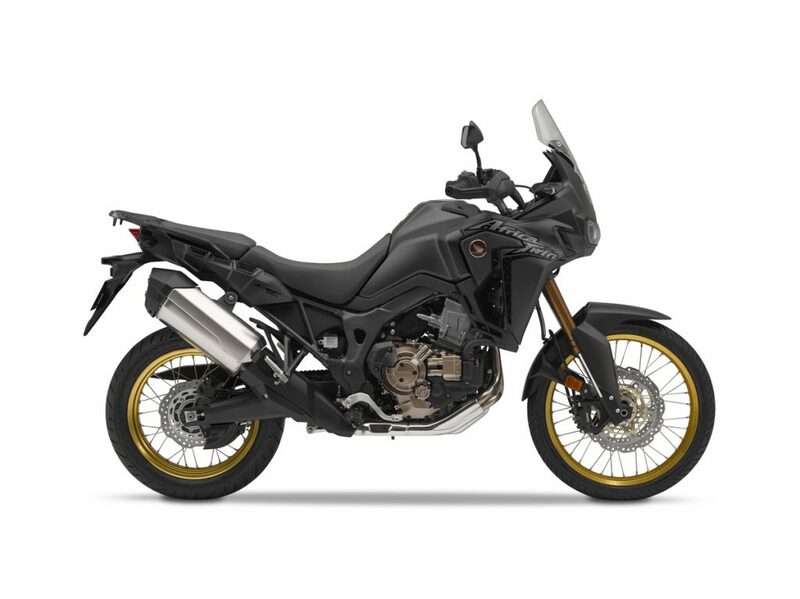 Both the base model and adventure sports model packs a 94hp 1000cc engine with a slightly modified airbox from Honda that is a carry over from 2018. Honda has done an incredible job with the Adventure Sports model. It may seem daunting to hop onto a machine that is rocking 10.6 inches of ground clearance, a larger fuel tank at 6.4 gallons (5 gallons for the base model) and overall a heavier bike but as we have discovered, the bike is extremely nimble and forgiving due to the frame and electronics. 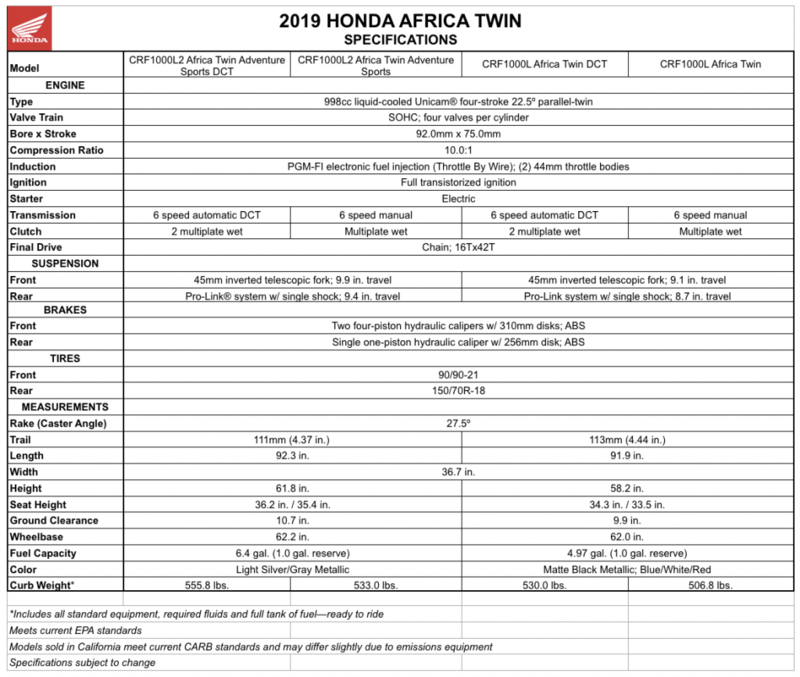 The prices for the 2019 Honda Africa Twin models have increased by $100 for models with manual transmissions and $200 for DCT models. Still has 45mm shocks... dang. I was hoping to buy some OEM 48s for my 2016. I was hoping, since there are now two versions of the AT, Honda would have offered a lower ground clearance along with a lower seat height to allow shorter riders to experience riding this wonderful machine. I sat on a Special Edition AT and had to call for a ladder to get down off it. I have 2016 (MANUAL) AT with 30,000 K/M (18,000 miles) but I got a lowered seat from Honda right from the get go. I still find the AT is top-heavy, and is a challenge to ride in higher windy conditions.